The holiday season is here and you are probably going to be interacting with friends and family at gatherings. A popular topic of conversation is books. Well, books always becomes the topic after I mention that I am a librarian. “Oh, it must be nice to sit around and read all day”. Sadly, we don’t get to sit and read all day either. But I do like talking about books! However, I cannot always remember the author or title of a book that I read that I want to recommend to someone. Thankfully, there is an app for that. 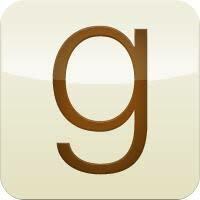 I like to use Goodreads. And if you don’t like squinting at your phone, check out their website. Goodreads is my favorite app/website. It helps me keep track of what I have read. If I find a new author I like, I can search Goodreads for all of their works. Best of all, while I am searching new titles, I can see what other Goodreads users ranked and reviewed a book. So if I see that a book has a low rating, I might put it in my “To-Read” list on the site instead. While you are comparing books at that holiday gathering, you can add those interesting sounding titles to your “To-Read” list on your phone so you don’t forget them later. Goodreads is not just a site of lists of books and authors. It is social site that allows you to interact with other people. You can see what your friends have read or want to read. You can compare your lists with their lists, see how your rankings compare and read their reviews. There is a news feed that shows you what your friends just added to their list or what book they just finished. Goodreads now offers a personal reading challenge that keeps track of how many books you have read during the year. Also, Goodreads users vote on their favorite books at the end of the year. Hopefully I have given you a reason to join Goodreads. It is a fun way to keep track of what you have read and interact with your friends. 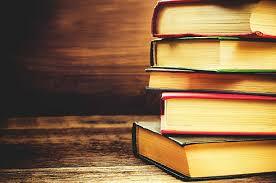 It is great tool for helping you find new books and authors to read as well. When you are at those family gatherings, it will be much easier to add that recommended book on your Goodreads app then to try to remember the book title (and forget it later).